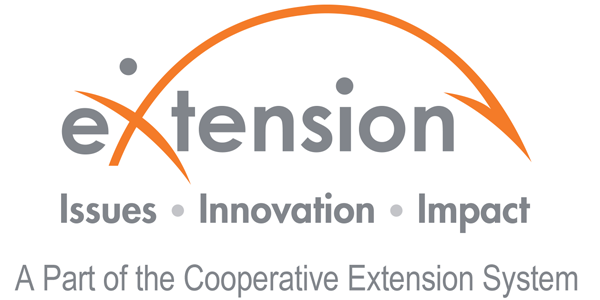 The Westmoreland County office of Virginia Cooperative Extension is your local connection to Virginia's land-grant universities, Virginia Tech and Virginia State University. Through educational programs based on research and developed with input from local stakeholders, we help the people of Westmoreland County improve their lives. We provide education through programs in Agriculture and Natural Resources, Family and Consumer Sciences, 4-H Youth Development, and Community Viability. Check out our impact and resources in the community! 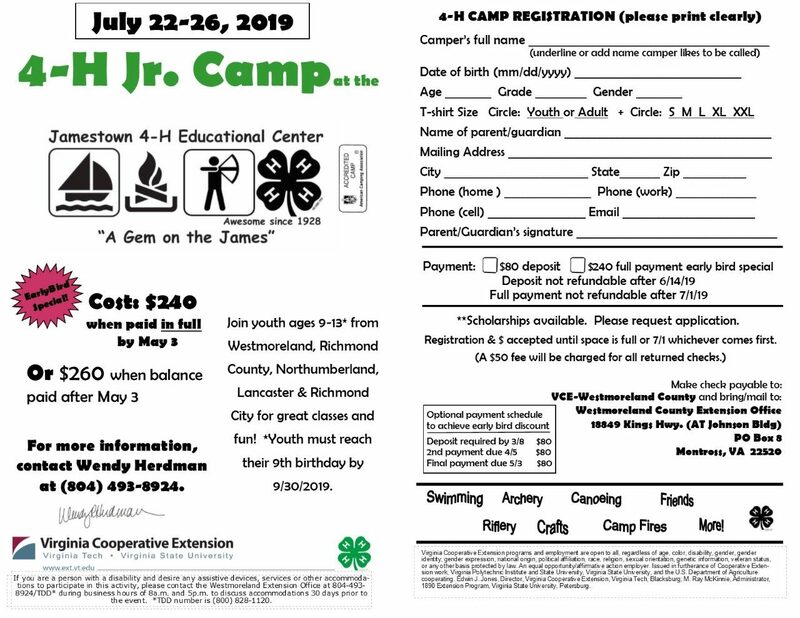 Registration is open and spaces are available for 4-H Jr. Camp. 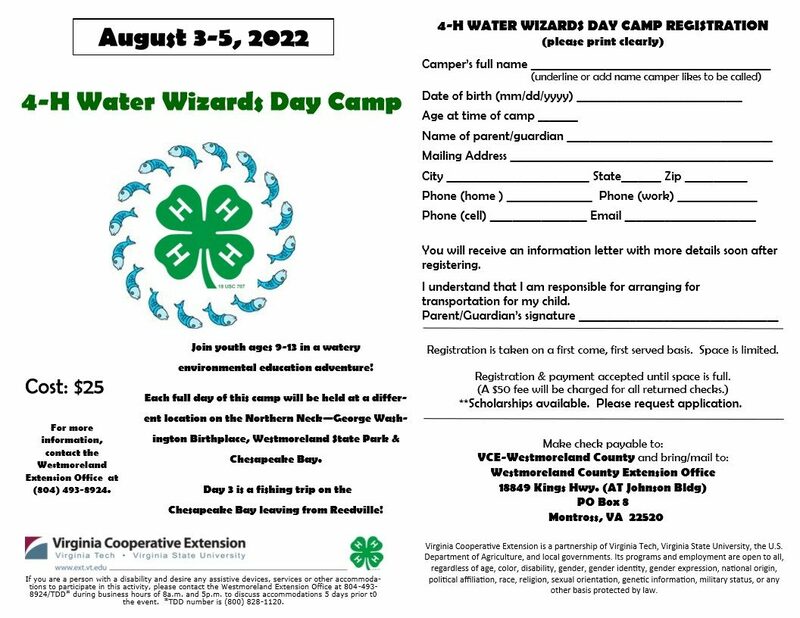 Westmoreland and Richmond County boys and girls ages 9-13 can attend 4-H Jr. Camp at the Jamestown 4-H Educational Center from July 22-26, 2019. 4-H Camp is a week of fun, hands-on experiences where children “learn by doing”. 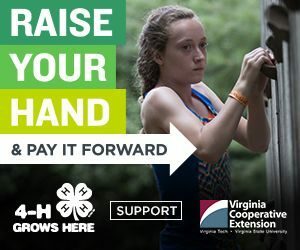 4-H camp is cooperative group living in a natural environment that focuses on developing life skills, social, spiritual, mental and physical development in young people. Camping experiences include swimming, canoeing, campfires, new friends and playing games all under the supervision of caring adults. Only $240 (paid in full by May 3, $260 otherwise) covers everything – all meals, lodging, programs and transportation. Financial aid is available. To register, request a brochure or scholarship application or to ask questions, visit either office’s webpage (Westmoreland: https://westmoreland.ext.vt.edu/; Richmond County: https://richmond.ext.vt.edu/) or contact your county’s extension office. Westmoreland County – 493-8924, Richmond County – 333-3420. 4-H Camp grows life skills. An electronic survey completed by our campers on the last day of 2018 camp shows that campers increased their capacity to make new friends, make their own decisions, try new things, enjoy nature, express his/her opinions, communicate with adults and teens, recognize bullying and understand/demonstrate the six pillars of character. Campers felt that camp participation increased their communication, leadership, goal setting and community service life skills. Jamestown 4-H Educational Center and its programs are accredited by the American Camp Association (ACA). What does that mean? ACA is the only organization that accredits all types of camps, with up to 300 national standards for health and safety. ACA camps have undergone a thorough review of operations. This includes things like staff qualifications and training to emergency management. Safe environments promote positive youth development. ACA camps provide: healthy, developmentally-appropriate activities and learning experiences, discovery through experiential education, caring and competent role models, service to the community and environment, and opportunities for leadership and personal growth. If you are a person with a disability and desire any assistive devices, services or other accommodations to participate in this activity, please contact the Westmoreland Extension Office at 804-493-8924/TDD* or the Richmond County Extension Office at 804-333-3420/TDD* during business hours of 8 a.m. and 5 p.m. to discuss accommodations 30 days prior to the event. *TDD number is (800) 828-1120. 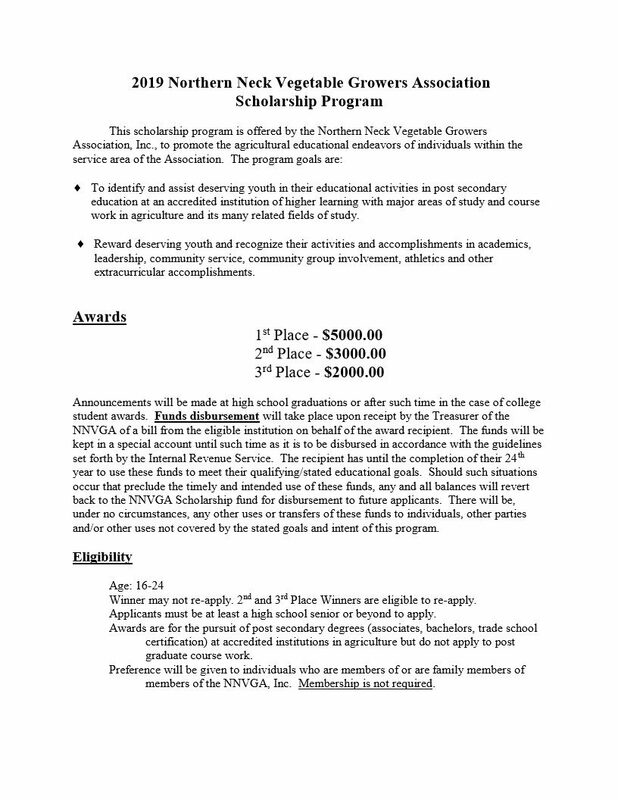 The Northern Neck Vegetable Growers Association continues their commitment to agriculture and the region this year by offering three scholarships totaling $10,000 to deserving area youth studying agriculture. Eligible applicants must live in one of the counties served by the Northern Neck of Virginia Farmers Market. Successful applicants must be 18-24 yrs. old and at least graduating seniors in high school. 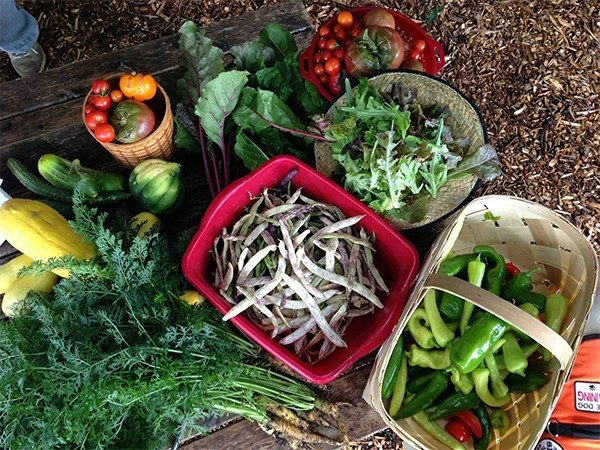 These funds are only eligible for use for undergraduate course work and can include community college agricultural programming and technical training. A strong emphasis will be placed on a demonstrated commitment to agriculture not only with course work but also community involvement and career goals. For more information and an application call the Westmoreland County Extension Office at 804-493-8924 or email sromelcz@vt.edu. The deadline for applications is May 10, 2019 at 5 p.m. Applications must be physically in the office, no electronic transmissions accepted. Do you have lawn and garden questions? 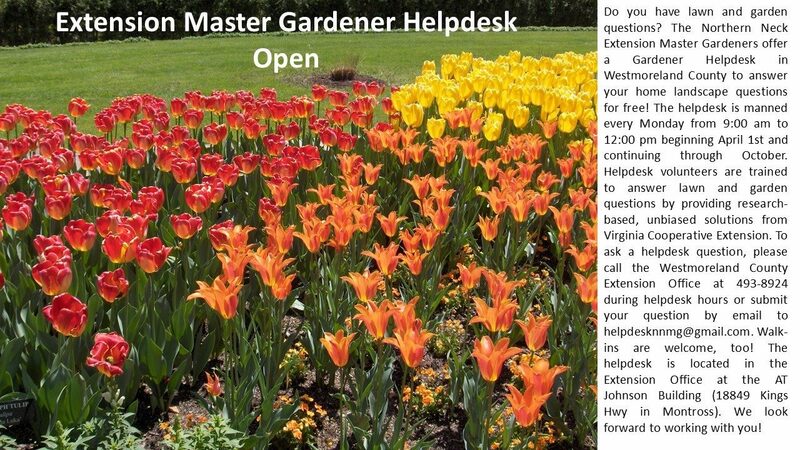 The Northern Neck Extension Master Gardeners offer a Gardener Helpdesk in Westmoreland County to answer your home landscape questions for free! The helpdesk is manned every Monday from 9:00 am to 12:00 pm beginning April 1st and continuing through October. Helpdesk volunteers are trained to answer lawn and garden questions by providing research-based, unbiased solutions from Virginia Cooperative Extension. To ask a helpdesk question, please call the Westmoreland County Extension Office at 493-8924 during helpdesk hours or submit your question by email to helpdesknnmg@gmail.com. Walk-ins are welcome, too! The helpdesk is located in the Extension Office at the AT Johnson Building (18849 Kings Hwy in Montross). We look forward to working with you! 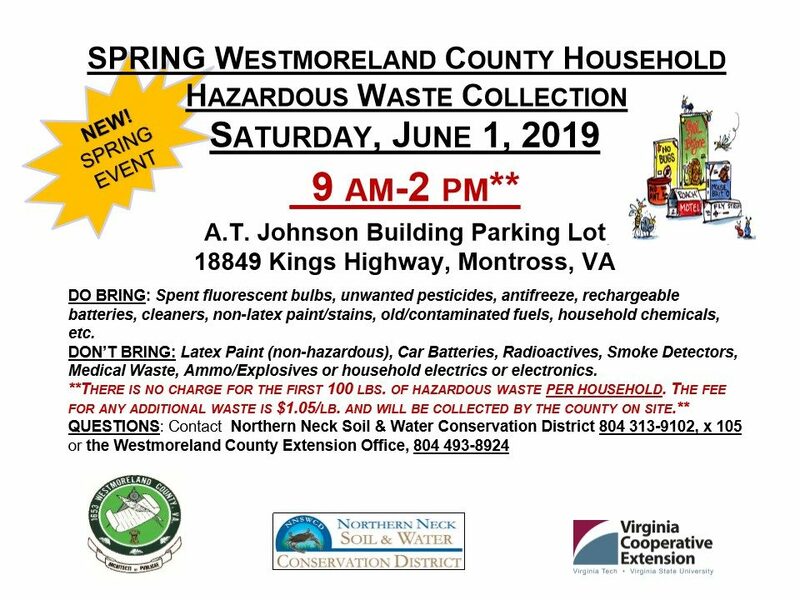 In addition, Altosid XR mosquito control briquettes are available for Westmoreland County residents at no charge. 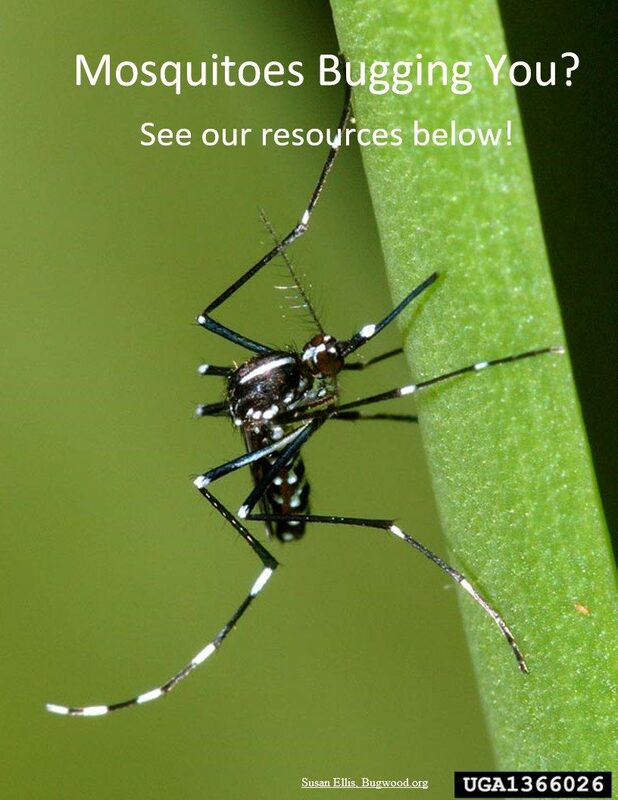 Altosid XR (https://www.centralmosquitocontrol.com/-/media/files/centralmosquitocontrol-na/us/specimen%20labels/altosid%20xr-briquets%20specimen%20label.pdf) is an insecticide that works by preventing the emergence of adult mosquitoes and is used in potential mosquito breeding habitats, such as roadside ditches and other standing water. The briquettes are slow release providing control for up to 150 days. Visit the Extension Office at the AT Johnson Building to pick up the briquettes. Briquettes are available based on the amount of standing water present with a limit of 5 per household. The Virginia Wildlife Conflict Helpline, run by the Virginia Department of Game and Inland Fisheries (VDGIF), is a resource for resolving human-wildlife conflicts. It is a collaborative effort between the VDGIF and U.S. Department of Agriculture – Wildlife Services to address human-wildlife interactions by sharing science-based wildlife information. The helpline is available toll-free at (855)571-9003, 8:00 AM – 4:30 PM, Monday through Friday.